Don’t know anyone capable of throwing at 90+mph? Or are you fed up of straining your arm as a parent/coach? Pitching machine to the rescue! In this buyer’s guide, we’ll review the 8 best pitching machines for baseball/softball on the market at the moment. We’ll also outline some key things to consider when buying, helping you pick the perfect machine for your specific needs. Photo by Jordiferrer licensed under CC BY-SA 4.0. Let’s begin our reviews! In this section, we’ll look at the 5 best pitching machines on the market right now. This machine from Jugs is essentially a mid-market option. It isn’t expensive, but it’s not cheap either. As a result, you get excellent performance without having to break the bank. The Lite-Flite is capable of pitching balls at an impressive 85mph at a distance of 25 feet. You can adjust how hard it throws, and for extra variation, you can tell it to pitch either fastballs, curveballs (left/right handed) or sliders. Essentially, it has all the settings you need to practice the sort of throws you’ll be facing in-game. What else do you get for your money? Jugs include a 2-year warranty with this machine, which is a really awesome thing to have. Although the firing mechanism is surprisingly simple (just feed balls into the spinning wheel), there’s always that risk of it developing mechanical issues, so this warranty helps to give you a little more peace of mind when buying. Another great thing about this machine is its adjustable base. The top portion offers 360 degrees of motion, allowing you to practice collecting those annoying grounders if you’re looking to improve your outfield play. Plus, the Lite-Flite is also capable of pitching both baseballs and softballs. However, you have to use either wiffle/poly balls or Jugs’ “Lite-Flite” balls – you can’t feed it regular baseballs/softballs. Can throw fastballs, curveballs, & sliders. Must use wiffle balls or Jugs’ Lite-Flite balls. This machine from Louisville Slugger is much less expensive than most of the other options on the market. Why is this? Simply put: it’s a simple machine. It fires balls like a catapult. There’s a swinging arm you pull back, which is released with a waist-high lever. This means that there’s no need to plug this machine into a wall or buy an expensive battery pack, because it doesn’t use electricity. Surprisingly, it’s fairly adjustable – you can throw fly balls, grounders, and regular pitches with this machine. You can even program what speed you want it to fire at. Plus, the Blue Flame weighs less than 25lbs, making it a breeze to take to the field. Obviously, this arm isn’t going to fire balls as fast as an electric option. You’ll be able to throw hard baseballs and softballs at up to 45mph, and poly balls at up to 60mph. It’s pretty accurate too, making it a great tool for coaching little leaguers and teenagers alike. Surprisingly accurate & easily adjustable. In terms of overall performance, this is probably the best pitching machine on the market. It’ll fire real baseballs at speeds of up to 90mph, and you can tell it whether to throw fastballs, breaking balls, sliders or knuckleballs with the flip of a switch. You can adjust it to throw in any direction you like, and it comes with durable urethane wheels for easy portability. As well as awesome pitching capabilities, you also get an incredible warranty. Mount Yeti include a 6-year guarantee against defects with this machine, which is probably the longest warranty on the market at the moment. You can also use this machine for softball practice, although it can be a little tricky to use the included conversion kit. The only other downside to this machine is its price – it’s fairly expensive. But you definitely get what you pay for. Ultimately, if you’ve got that need for speed, and you’re not looking to change between baseball/softball pitching very often, this is a great pick. Although it’ll cost you a fair bit, the Mound Yeti 2 has the performance, durability, portability, and warranty you’d expect to receive at this price point. 90mph top speed (with real baseballs). Included wheels make it easily portable. Fully adjustable pitch type & aim. Little tricky to change from baseball to softball mode. Need something to help you practice by yourself? This pitching machine from Heater Sports comes with a 12-ball automatic feeder. Simply roll your baseballs (real or training ones) down the steel housing, and press go. The machine will pitch a ball every 15 seconds, giving you ample time to prepare for each throw. What else do you need to know about this machine? It’s a premium option, but it’s not super-duper expensive. You can set it to throw at whatever speed you like (up to 50mph when using real baseballs). Plus, you can adjust the pitch height/aim, and there’s a handle for easy transport. This machine is also really sturdy (basically the entire thing except the wheel is made of steel), but surprisingly light. Even if you do face durability issues, Heater’s got you covered. This product comes with a 1-year warranty on parts and labor, for peace of mind when buying. Overall, this is an excellent option. 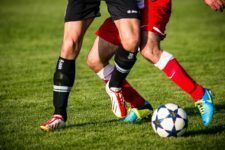 It would suit serious players on a budget, as well as those who need to be able to practice alone. However, it’ll only fire baseballs – the housing is too small for softballs. Has an automatic ball feeder. Another premium option is the Baseline machine from First Pitch. The massive firing wheel makes this pitching machine one of the fastest on the market, other than the Mound Yeti 2. It’ll fire real baseballs at up to 70mph. Don’t worry about this speed wearing out the tire though – the Baseline comes with an impressive 5-year manufacturer warranty. It’s also incredibly versatile, capable of throwing both real softballs and real baseballs, as well as practice/dimple balls. However, you might notice a ~10mph speed drop if you load the Baseline with softballs. This isn’t a big deal though, since the pitching distance is much shorter in softball than it is in baseball, so you can just bring the machine forward. Essentially, the Baseline is a slightly cheaper alternative to some of Jugs’ premium options. However, it does have a small issue. When it throws a pitch and you’ve got it on max speed, the whole machine will shift position very slightly on occasion. You might want to shove its legs into the ground or perhaps use sandbags to keep it secure. The Baseline comes with something that not many other machines have though. Since the legs are bent slightly, twisting them around allows you to get the machine much lower than you’d otherwise be able to. This makes it great for pitching arcing balls to kids or fielding fly balls. Pitches both baseballs and softballs at a great rate of speed. Fully adjustable base + reversible legs. Fires fast enough to move the actual machine at times. 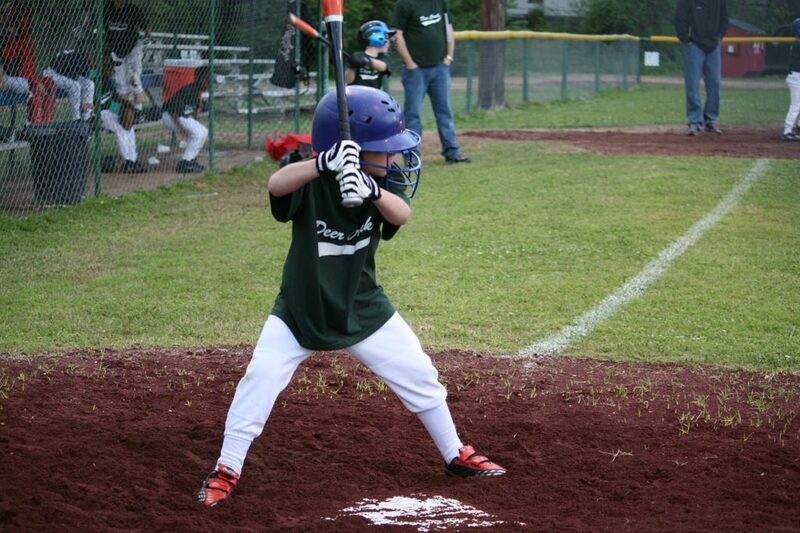 Now we’ll look at 3 of the best pitching machines for little league batters. If you’re coaching really young kids, it might not be worth investing in a proper pitching machine just yet. Pee-wee players should be focusing on improving their basic hand-eye coordination at this stage in their development. They don’t need to practice hitting hard baseballs until their teenage years at least. This machine from Franklin Sports has everything kids need to hone their swing technique. It’ll fire the 6 included poly balls at 10-second intervals at up to 40mph. There’s a red light to give players a little warning prior to the pitch being thrown, and you can adjust the machine’s height to accommodate your kids’ needs as they grow older. Plus, Franklin’s pitcher is battery powered, so it’s really simple to get up and running. It’ll even hold up to 9 balls, so you can keep practicing for ages without having to reload the funnel. It’s probably worth buying some wiffle balls to use with this machine – the plastic ones Franklin includes aren’t very good; they can dent when hit with a wooden bat. Considering how well this machine serves its purpose (training kids), it’s very reasonably priced. It’s also surprisingly durable, but it obviously won’t fire proper baseballs or softballs. Great for parents – no need to strain your arm pitching to your kids. The best thing about the Black Flame is that it can throw basically anything, including hard baseballs/softballs, without the base shifting. Pretty impressive for something that doesn’t require electricity! With this machine, there’s no need to buy a separate battery pack or expensive generator. You can even tell it where and at what angle to pitch using interchangeable components. Sure, adjusting this machine is a little harder than it is on more expensive options. But unless you’re changing from strikes to grounders every second pitch, it’s not a big deal. Whether you’re looking for fastballs, fly balls, or slow/fast-pitch softball throws, the Black Flame’s got you covered. The machine itself is very easy to assemble and disassemble. It’s surprisingly light and also quite durable, in large part because there are no electronic components which could potentially fail. However, there’s no warranty. This machine is a little more expensive than Slugger’s Blue Flame version. In return, you get a slightly sturdier base and a more powerful firing mechanism. However, we don’t think it’s worth spending more for the Black model, unless you particularly want a slightly tougher version of the Blue Flame. Works with proper baseballs & softballs (as well as other sports balls). No battery or power outlet required. Tough frame but easy to move around. Might not be worth paying extra for over the Blue Flame version. If you’re coaching older kids, you might need something with a little more oomph. 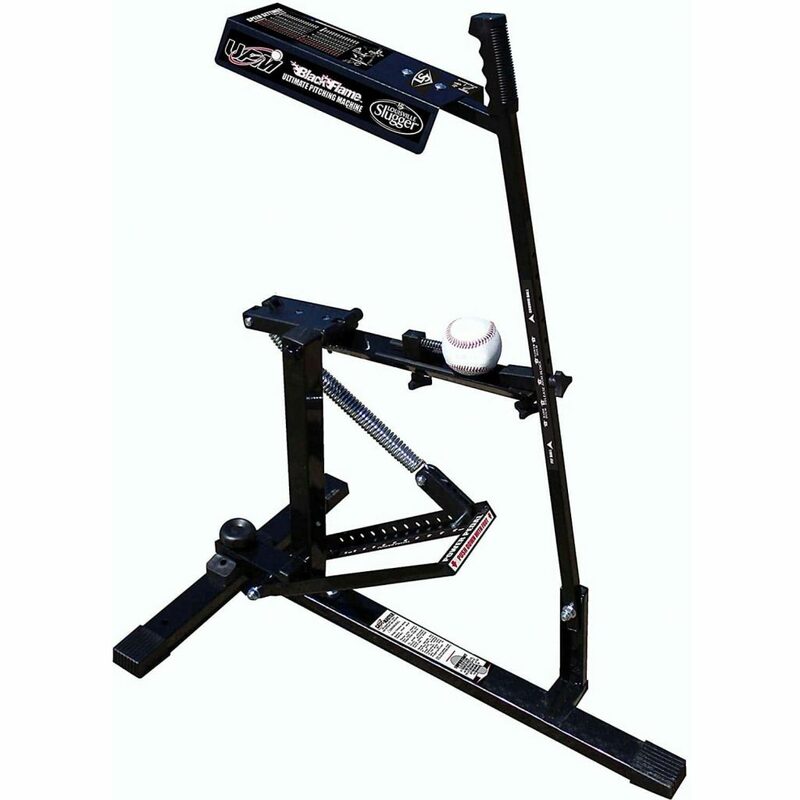 Jugs’ Junior pitching machine is one of their top-of-the-range models. In return for the higher price, you get a heap of awesome stuff. Firstly, it can fire proper baseballs and softballs at speeds of up to 60mph. You can obviously feed it wiffle balls too, which it’ll fire much faster. Plus, it comes with an incredible 5-year manufacturer’s warranty, which is a significant step up from the 2-year guarantee Jugs offer with their Lite-Flite machine. You also get what Jugs calls an “always see the ball” system. This makes it really easy to keep your eye on the pitch as it leaves the machine, allowing you a reasonable amount of time to pick up its path. Although this isn’t a big deal, it’s useful in that it helps to better simulate what you’ll see when facing a real-life pitch. As you’d expect from something at this price point, the Jugs Junior comes with a swivel base, allowing for 360-degree movement, plus a digital speed readout. It’s also fairly light (75lbs) considering how well it performs, making it easy to transport and set up for practice. If you’ll be training outdoors, it’s possible to power this machine with a 100-watt generator if you don’t have access to a wall outlet. The only real downside to this pitcher is its price. However, you definitely get what you pay for: an excellent all-round machine with everything you need as a youth coach. Barrel design makes it really easy to see the ball as it’s fired. Can fire real baseballs at up to 60mph. In this part, we’ll discuss some stuff you should know when choosing a pitching machine. How do pitching machines work? 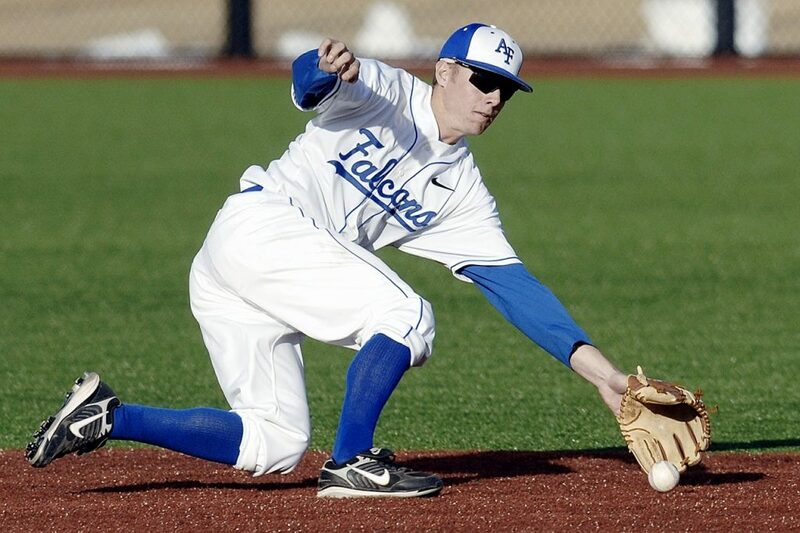 There’s actually a few different ways of propelling a baseball forward at speed. Cheap pitching machines may use mechanical/spring-loaded firing mechanisms. They’ll shoot the ball forward with an arm, a bit like a catapult. On the other hand, more advanced products tend to use either one or two spinning wheels. You (or the machine) feeds the ball into these wheels as they spin, sending the ball forwards. These pitching machines tend to fire more accurately, and are much easier to use. 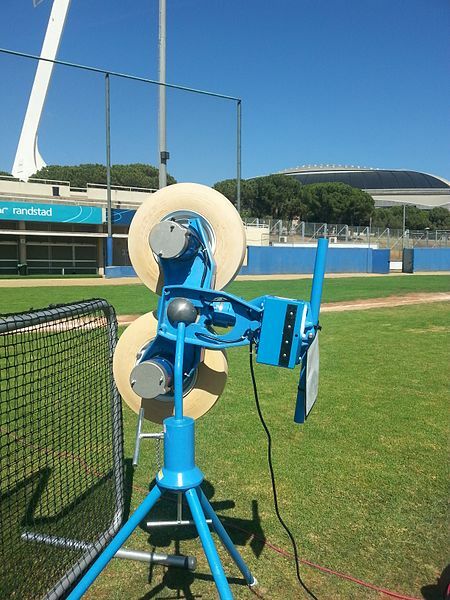 How are pitching machines powered? Again, this depends on the machine. The mechanical ones we mentioned earlier don’t actually require any external power source. You simply pull a lever to fire the ball, and pull the arm back to reset the device. More professional machines will run on 110-volt mains electricity, meaning you’ll need a power outlet or a generator to plug them into. However, some can be used with rechargeable battery packs, which are often sold separately. If you spend more than $300 or so on a pitching machine, a warranty goes a long way in ensuring peace of mind when buying. Look for a 1+ year guarantee against defects or breakage when choosing what to get. Unless you’re buying a relatively cheap machine, it’s best to avoid anything that doesn’t come with a decent warranty. Manual feed: you simply feed each ball into the machine one at a time (most machines use this method). 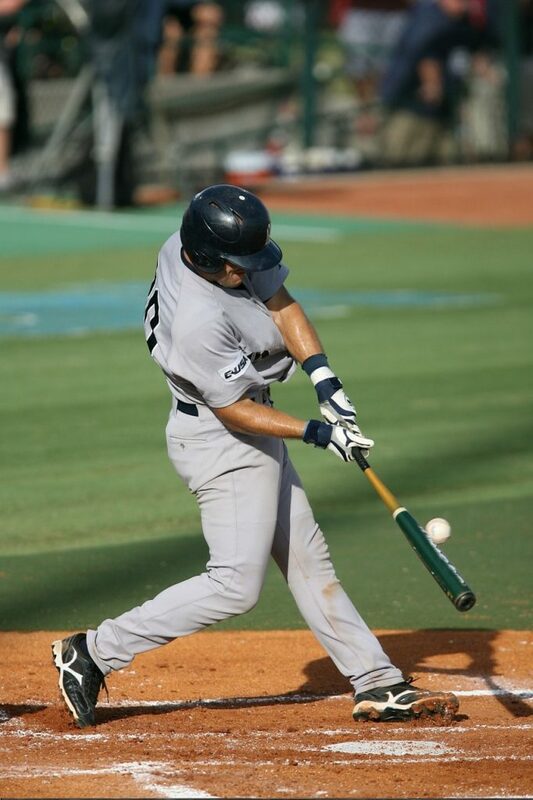 Manual feeding makes it a little easier for coaches to give feedback to the batter in between swings. Spiral/funnel feed: the machine comes with a feeding mechanism, into which you can load 10-20 balls. It then fires each ball a set number of seconds apart. The benefit of this is that you can practice by yourself. However, if you get one of these machines, make sure it has a light or something to tell you when it’s about to fire. 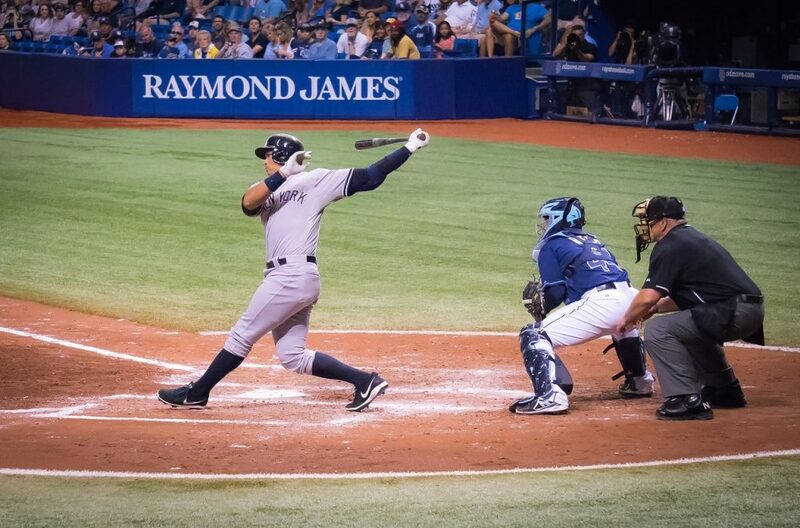 You might expect some pitching machines to have laser-guided aiming mechanisms and perhaps even a viewfinder to help you point it at the strike zone! The truth is that even the most expensive machines don’t really have these features. You’ll have to calibrate it with a few test pitches – the instructions should help you with this. To change where most machines shoot, you’ll need to loosen its swivel locks and simply move the barrel to point it where you want to fire. 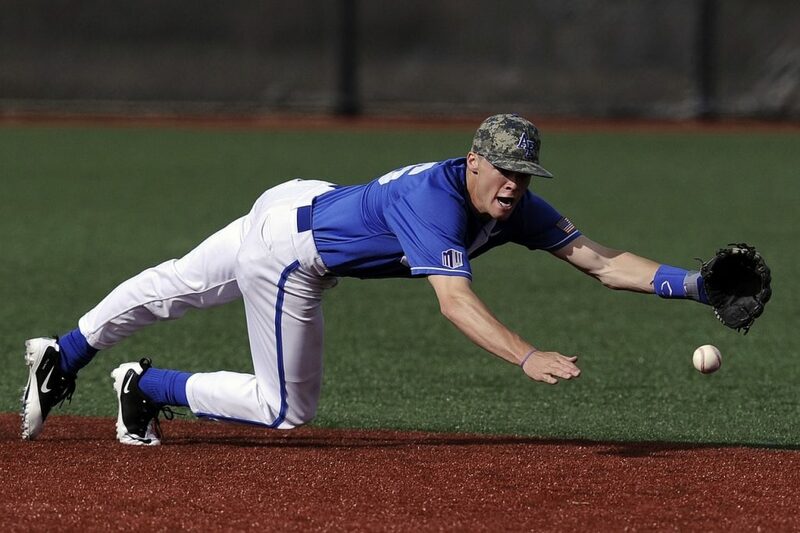 If you want to be able to practice catching grounders and pop-ups with your machine, look for something with a really large range of movement. Some have foldable legs and/or a base which allows 360 degrees of movement, enabling you to point the barrel anywhere you like. Can I use regular baseballs/softballs in my pitching machine? In general, yes you can use normal balls, but you should check with the manufacturer before buying. For low/mid budget machines, high-seam baseballs/softballs may cause issues. Depending on how the firing mechanism works, these ridges might cause the machine to shoot inaccurately due to the variation they introduce. In addition, proper leather/synthetic baseballs tend to be quite heavy. Some machines might not be able to achieve their top pitch speed if you load them with regular balls. If you can, it’s a good idea to get a big bucket of training or wiffle balls. Not only will this allow you to train for longer, it’ll allow your machine to fire into the strike zone every single time, ensuring you won’t have to worry about being hit. Plus, training balls are generally more durable and cheaper to replace than normal baseballs. What should I be aware of when buying for a young child? Max top speed isn’t such an issue, meaning you can save a little money. Instead, look for accurate machines that work with soft wiffle balls. Kids need to get used to making bat-on-ball contact – their ability to hit massive homers doesn’t matter too much at this stage. You don’t need something with settings for sliders/curveballs etc unless your kid is playing at a really competitive level. Try to find a machine they can use to work on fielding grounders/fly balls, because it’s always useful to be able to practice your catching as a youth player. If your kid is super enthusiastic, it might be worth getting a pitching machine with a ball feeder so they can practice by themelves. The Franklin MLB pitcher is a great option if this is what you need. Most pitching machines are designed for baseball. However, there are some out there with large barrels designed specifically for softballs. Since baseballs and softballs are quite different to each other (the latter is much bigger), in most cases you can’t just use the wrong ball type and expect it to fire properly. However, there are some machines out there which can handle both baseballs and softballs. You might need to change around a few components (or just flick a switch, if you’re lucky) to get it to fire the other type of ball. Why buy an expensive machine? Browsing online, you’ve likely noticed the massive disparity in pricing between the cheapest and most expensive options out there. But is it worth shelling out big bucks for a pitching machine? To be honest, you really get what you pay for. Cheaper machines in the $30-$200 range are mostly designed for kids. They’re unlikely to pitch very fast, and many only throw soft plastic balls. On the other hand, more expensive options are likely to have an absolute ton of features that’ll help you improve your batting average. For example, the ability to throw knuckleballs, sliders, and breaking balls rather than just fastballs. Some will also pitch at 90+mph, and are able to throw accurately 100% of the time. You don’t have to spend a heap of money to get what you need though. There are plenty of mid-market options which are actually really nice machines. Just don’t spend too little, or you’ll be severely disappointed in your new pitching parner. How do I know how fast my machine is actually pitching? If you buy something that claims to be able to throw at up to 90mph, you’ll want to be sure that it’s actually pitching at this speed! To verify that your machine is throwing as fast as it should be, simply use a radar gun! These devices are also really useful in that they let you check how fast you can throw, allowing you to find out what works and what doesn’t when practising your fastball technique. We hope you found the right the right pitching machine for you or the batter in your family. Got any questions? Leave a comment below for a response within 24 hours!